HAMBACH, GERMANY - SEPTEMBER 05: Bucket-wheel excavator digging in lignite mine. The open-pit mining facility Tagebau Hambach is Germany's largest strip mine and debated for environmental issues. hd00:20A huge strip mine used for mining lignite. 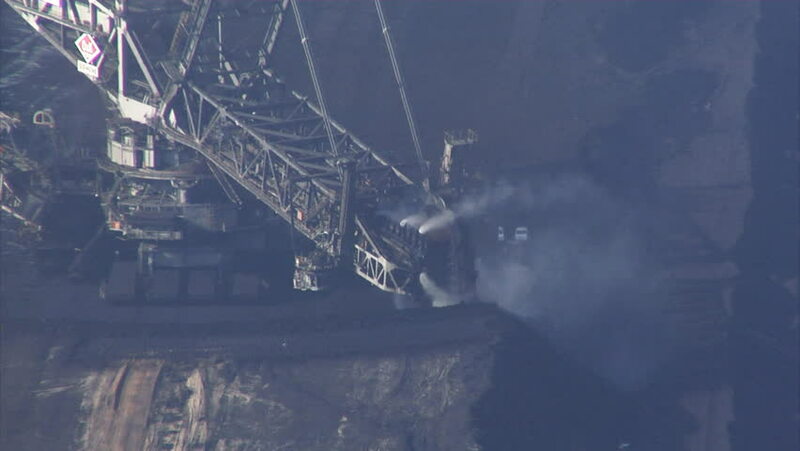 Telephoto view of a bucket-wheel excavator used for mining lignite from the bottom of the lignite strip mine. Speed up approximately 10:1.
hd00:09shabby leather soccer ball close-up.sport background. sd00:11Power Lines from the Dam.